Back in 2009, Beck was working with Charlotte Gainsbourg on her upcoming album, IRM. He then went out on a tour of Japan behind Modern Guilt, and at one of the shows played a song called "Paradisco." None of us were sure what the song was, so I asked some sources, and it was suggested it might be for the upcoming album with Charlotte. The track, however, was not released on IRM. 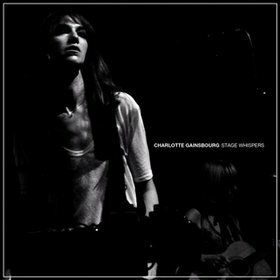 Then a couple of years later, Charlotte released a follow-up album that contained a handful of "new" songs. One was "Paradisco"! Charlotte explained in one interview that "Paradisco," was them "just having fun," and that it did not quite fit onto IRM. The track itself is quite groovy, and I think it's one of Charlotte's best vocal performances ever. It feels like an oddly structured song to me, and I quite enjoy the lyrics. I'm not sure what makes a "paradisco," but I gather that it is a night club/disco and that seems to be the scene of the song. Just played the once so far.